One Thiago replaced at UFC 149, and another one to go. On Monday, the world’s premier mixed martial arts promotion announced Chris Clements has agreed to step in for injured Thiago Alves and meet Siyar Bahadurzada (Pictured) in the July 21st event. Bahadurzada made quite the splash in his big league debut at “UFC on FUEL TV 2″ by putting Paulo Thiago to sleep in just 42 seconds. The ‘Knockout of the Night’ performance marked the welterweight’s seventh consecutive victory. Clements posted a split decision victory over Keith Wisniewski in his big league debut at UFC 145. “Menace” will be riding a five-fight winning streak into the welterweight shootout. 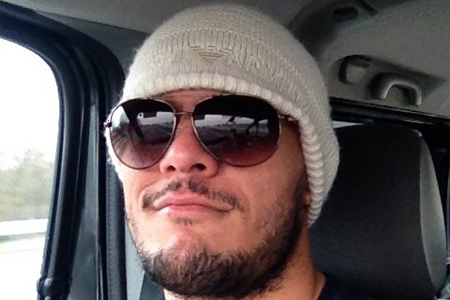 The organization now has to find a substitute for light heavyweight Thiago Silva, who withdrew from his fight against Mauricio “Shogun” Rua on the same day Alves pulled out of his scrap. Scotiabank Saddledome in Calgary, Alberta, Canada hosts the festivities.